Today is the last day of April and the last day of the #30daysofbiking. It's been an excellent month for cycling. Not only have I cycled every day this month, I've completed Phill's #apr100 challenge and I've also hit my personal target to cycle 600 miles this month. Another amazing fact is that I've ridden a total of 48 times and it's not rained once. So much for April showers! 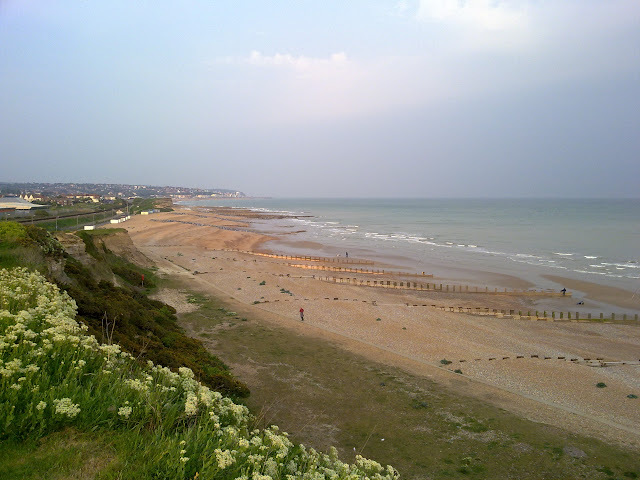 Today's ride was a ride to Bexhill and back. When I got to Bexhill I stopped at McDonald's and got a coffee. There was a headwind on the way there but that meant I had a tail wind on the way home. 600 Miles?! Toby that is incredible!! Especially considering you only started cycling just over a year ago! Inspirational stuff, well played. Cheers. It's quite surreal. Just over a year ago I was saying I would ride the London to Brighton for the first time in 2011. I did more miles than that in a single ride in April.